HOLLY HILL – Rainey Weaver was a major part of the Holly Hill Academy volleyball team’s success in recent years. Lady Raiders head coaches changed, but her play only improved and drew more notice from opposing teams and college coaches. 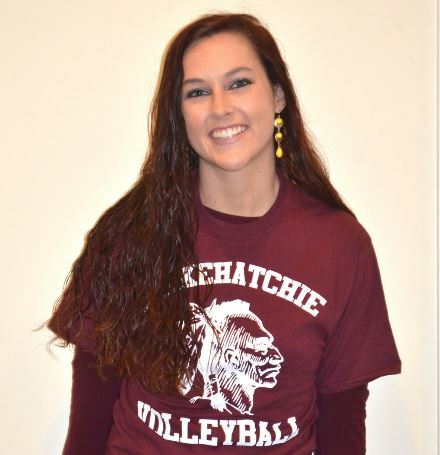 As of Monday, with Weaver signing a college volleyball scholarship with the University of South Carolina-Salkehatchie, she is looking forward to being a major part of a building process for the volleyball program at the Walterboro campus. Weaver battled through a bout with mononucleosis during her senior season for the Lady Raiders, but still finished with 115 kills, 38 blocks and 37 service aces on the season. She helped HHA and first-year head coach Sheryle Young finish with a 12-2 region record and a 24-7 overall record, including playing in SCISA state tournament action. As a senior team captain, Weaver helped keep the Lady Raiders team together and focused, as they played under their third head coach in three seasons. “Coach Sheryle helped me so much this season, and she made me realize that I can go places in my volleyball career,” Weaver said. Weaver has also played volleyball once the school season was complete in recent years, competing for Branchville-Colleton Juniors club volleyball and C4 club volleyball. Now, she sees college volleyball on her horizon. In January, USC-S announced that Jones had been hired as the new women’s head volleyball coach for the 2016 season, according to USC-S athletic director Jane Brewer. The USC-A volleyball program, which competed a few years ago (2006 and 2007), will be returning to Salk this August and will compete in Region X of the National Junior College Athletic Association (NJCAA). 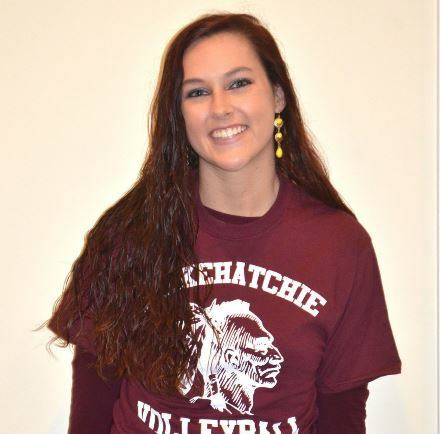 “The rise in interest in volleyball has prompted USC-Salkehatchie to bring volleyball back; and we are pretty excited about it,” Coach Jones said. “We are still looking to sign a couple more girls in this signing class; but we are excited about Rainey, since she has been in contact with us since January. The Lady Indians will see action against colleges from across North Carolina, South Carolina and Virginia, including Catawba Valley, Cape Fear, Brunswick, USC Lancaster, Wake Tech and Louisburg College.